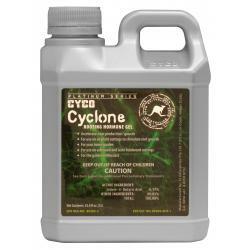 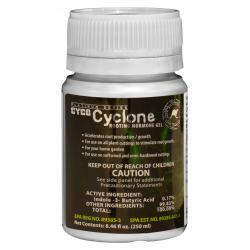 Cyclone Rooting Gel was formulated and rigorously tested over many years by our retail customers before being released into the global market. 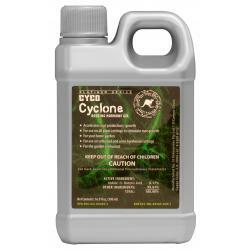 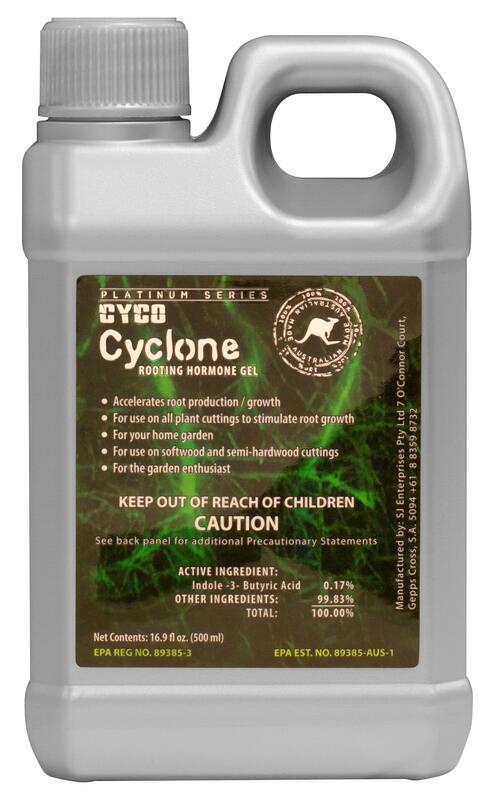 Teamed with our proven Cyco platinum series nutrient, Cyclone will give your cuttings the best opportunity to thrive and grow through the initial stages of its life. 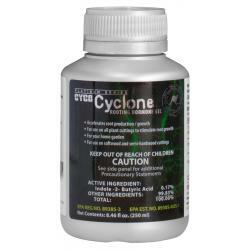 Accelerates root production and growth. 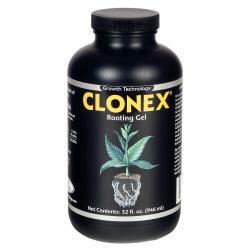 For use on all plant cuttings to stimulate root growth. 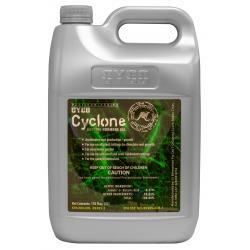 Cyclone can be used on softwood and semi-hardwood cuttings.